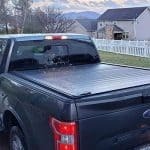 Home » Blog » Do Tonneau Covers Really Save Gas and Thus Improve MPG? One of the most prevalent ideas about tonneau covers is that they can really help you save when it comes to your mileage per gallon. The concept originates from the fact that the bed of the truck is such a large indentation that will literally collect airflow and increase the drag on the vehicle. So, the line of reasoning states that a tonneau covers this airflow “hole” so that air can flow more evenly over and across the body of your truck, which will reduce the effort of the engine to propel the vehicle forward. It’s the primary claim from many manufacturers that a tonneau can save you anywhere from 10 to 13 percent on your fuel economy. In most estimations, this can be a bit of an exaggeration and may only be attained in optimal situations. Having said that, these products definitely increase the aerodynamics of your vehicle, so purchasing one with the understanding that gas economy is a potential advantage is perfectly reasonable. When it came to some of the other methods, the mpg gains were definitely myths, but there was a case for improved gas mileage when you opted to use a tonneau. For the most part, using a tonneau definitely can make the truck more aerodynamic, and when you make a truck more aerodynamic, you reduce wind drag, which can help the engine work less during your driving sessions. So, do tonneau covers save gas? Well, as it turns out, using one can definitely make a difference, but as a general rule, the faster you drive, the more savings you’ll see. For example, at a blistering speed of 85 miles per hour, you can expect a fuel economy improvement that will amount to more than one mile per gallon, which can be a lot, but keep in mind that you won’t be driving at this rate for much of your truck-driving experience. When you slow down to about 65 miles per hour, which is a much more reasonable rate in which to drive, there’s definitely a reduced mpg benefit, and in most tonneau cover mpg test sessions, you’ll see at most a fuel economy improvement of a little less than a half mpg in savings. This, of course, can vary depending on the vehicle and even the bed size, so while a five-foot bed may prove to have a nominal MPG savings, a bed with an eight-foot design may see a little more efficiency. 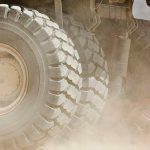 For the most part, most of these variations are fairly uniform and provide a relatively solid surface over which the air that’s flowing around your vehicle can pass. On the other hand, for a soft roll-up tonneau cover that isn’t tensioned properly, air can indeed flow under the tonneau and increase the drag on your vehicle. To avoid this situation, it’s crucial to keep your tonneau cover taut across the bed of your truck so that you can save a bit of cash at the pump. Additionally, some products like soft and hard tri-fold covers can be partially deployed when you’re carrying oversize loads. When you are locking these in a 1/3, 2/3, or even fully open position for some models, you are inherently increasing the drag on your vehicle, which will reduce fuel efficiency. Retractables are similar in this regard; if you’re only partially closing the tonneau so that you can carry overlarge items, then you can expect a significant loss in aerodynamics. Also, any texture in the gate or any large head units on the tonneau itself can also reduce the aerodynamics of the truck, which can increase drag and reduce fuel economy. When you’re in the market for a tonneau, remember that there are considerations that you should take into account if you’re trying to save a buck at the pump. As a general rule, lightweight tonneaus are very useful because their reduced mass allows for the truck to require less energy to move forward, and less energy expended this way means less required gas. For this reason, a taut, soft cover can reward you with some good gas mileage. Smoothness is also important, which is why single segment covers with uniform textures on the topmost portions can be useful. While you don’t want to grab a huge metal tonneau that will weigh your truck down, a unibody product can definitely assist with vehicle airflow. Also, the age of the truck can come into play as well; modern trucks are designed with features that actively reduce drag, so using a tonneau may not make as much of a difference as compared to trucks that were designed in the 80s and 90s. So, do tonneau covers improve gas mpg? 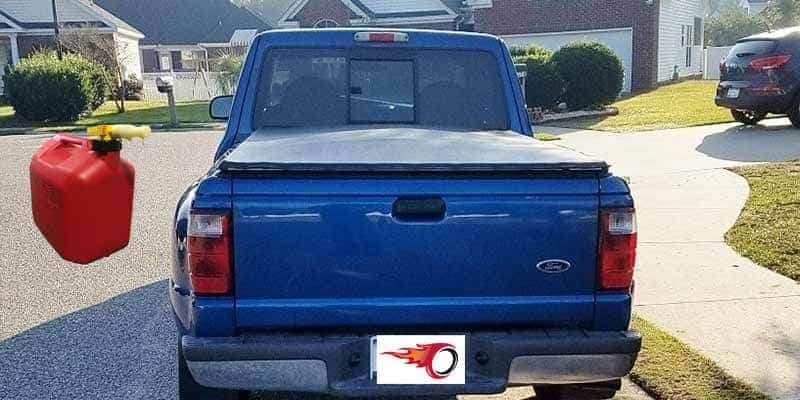 In the end, it’s definitely important to note that no one typically buys a tonneau cover thinking that it will one day pay for itself – in truth, these products yield a lot of significant advantages even without noteworthy fuel savings. If you are thinking to buy a tonneau strictly for its potential to save you a ton of money on gas, it may be best to consider other gas-saving solutions like keeping your tires pumped up to their prescribed level.